The removal of water contaminants is a major challenge for municipal drinking water systems. 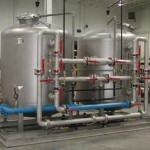 Nancrede Engineering regularly brings its expert experience to Indiana, the Midwest and throughout the country in designing and servicing municipal drinking water treatment equipment and systems. EPA sets standards for approximately 90 contaminants and indicators in drinking water. The presence of indicators at a level outside of specified limits may reflect a problem in the treatment process or in the integrity of the distribution system. A list of contaminants and indicators in drinking water can be found below. 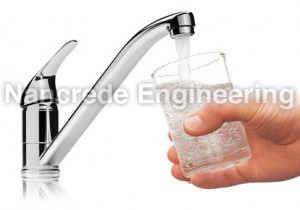 Nancrede Engineering has the expertise to provide design, consulting, engineering, equipment, installation, service and maintenance of municipal drinking water systems. 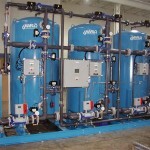 These system provide water contaminant removal using reverse osmosis, media filtration (e.g. 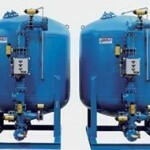 nitrate removal), and other related drinking water decontamination equipment and processes. 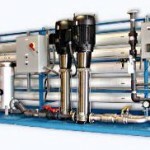 The most common drinking water treatment systems are listed below but Nancrede Engineering can design systems for any drinking water application. Municipal Water Arsenic Filters: Arsenic is naturally occurring element and occurs in many minerals, usually in conjunction with sulfur and metals, and also as a pure elemental crystal. The EPA Maximum Contaminant Level (MCL) for arsenic in water is 0.010 mg/l or 10 ppb (parts per billion). 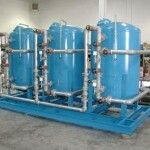 Nancrede Engineering can design an arsenic removal system in conjunction with your other water treatment needs. Arsenic can cause skin damage or problems with circulatory systems, and may have increased risk of causing cancer. Designing an effective, efficient municipal drinking water system for the removal of contaminants requires quality water treatment and expertly engineered systems. Contact Nancrede Engineering at +1 888 56-WATER (569-2837) for all of your municipal drinking water applications. Municipal Water Nitrate Filters: Nitrates can enter the water from a few different sources. Most are man made and come from sources like fertilizer, septic tanks and runoff from glass and electronics production wastes. Maximum Contaminant Level (MCL) = 10 mg/L or 10 ppm. Infants below the age of six months who drink water containing nitrate in excess of the MCL could become seriously ill, and if untreated, may die. Symptoms include shortness of breath and blue baby syndrome. MIOX Primary & Secondary Disinfection Systems: There are many contaminants in the water such as Cryptosporidium and Legionella that can cause great harm if they are in the water systems. 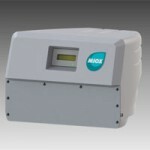 Nancrede Engineering offers Chlorine Dioxide Generation Systems, Gas Chlorination Systems and MIOX Mixed Oxidant Solution Systems for primary and secondary disinfection of water. MIOX systems offer the best combination of kill rates, capital investment cost and operating costs while being the safest to operate. It is vital to have the right system in place designed by experts like the engineers at Nancrede Engineering to make sure drinking water is safe as many of these water born organisms can be deadly. Municipal Water Iron Filters: Surface and ground water can contain ferric or ferrous iron, unpleasant tastes, odor and unwanted color. Nancrede Engineering has a full line of catalogue and special engineered filters for iron removal. Iron in drinking water should be less than .3 ppm. It can also cause staining in fixtures and damage equipment like water heaters, cooling towers and boilers. Municipal Water Multi-Layer/Turbidity Filters: Ground water often contains turbidity/TSS (total suspended solids) or suspended particles. Nancrede Engineering has a full line of catalogue and special engineered filters for turbidity/TSS removal. Turbidity of drinking water typically shouldn’t be more than 5 NTU, and ideally should be below 1 NTU. Higher turbidity levels are often associated with higher levels of disease-causing microorganisms such as viruses, parasites and some bacteria. These organisms can cause symptoms such as nausea, cramps, diarrhea, and associated headaches. Radionuclides Typical sources of these contaminants in drinking water: erosion of natural deposits. Contaminants: Alpha particles Beta particles and photon emitters Radium 226 and Radium 228 (combined) Uranium Do you have questions about municipal drinking water contamination removal? Contact our experienced engineers today.